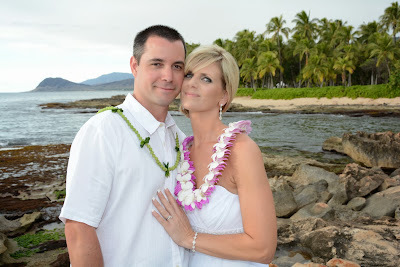 Jason & Traci get married at Ko Olina Beach. Ceremony by Rev. 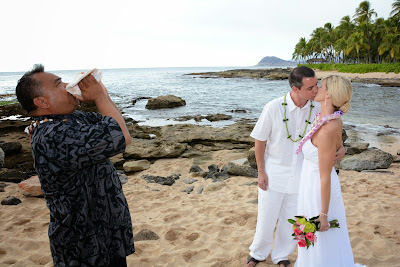 Jofrey, wedding photos by Robert Hamilton.